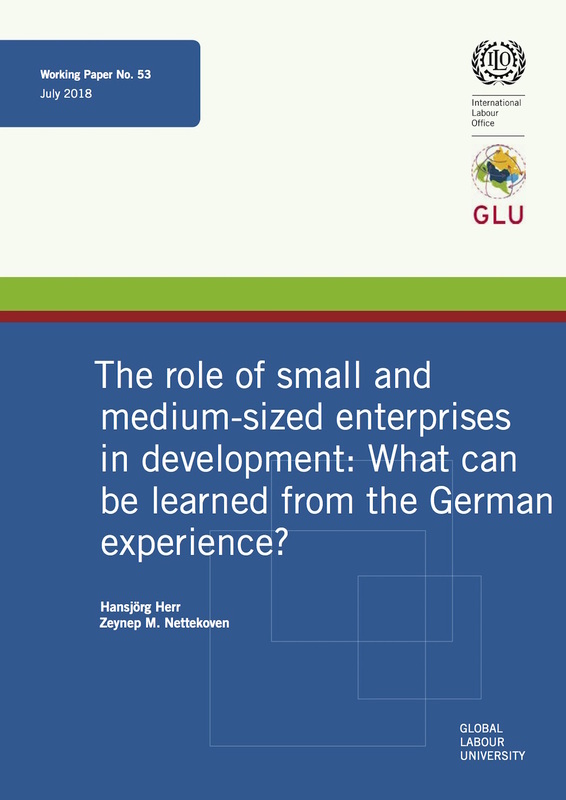 The Role of Small and Medium-sized Enterprises in Development: What Can be Learned from the German Experience? The paper tells the story of the drawn-out struggle of the Philippine Airlines Employees Association (PALEA) to reverse the trend of outsourcing in the Philippine Airlines (PAL). It highlights the fight-back strategies adopted by PALEA in its attempt to stop the contractualization of labour in the airline industry. 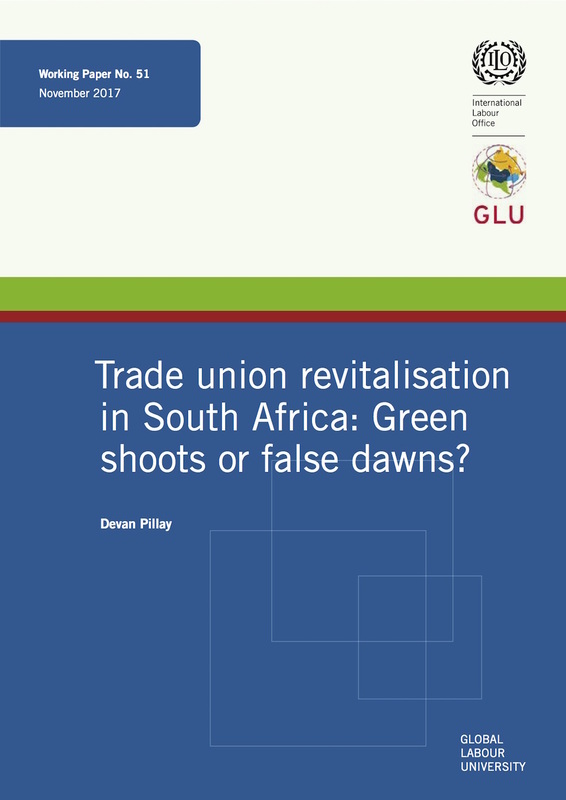 Trade union revitalisation in South Africa: Green shoots or false dawns? The construction industry in Korea is characterized by a complex pyramid structure comprised of one main construction company (“main contractor”) and several layers of subcontractors. The prevailing form of employment relationship is informal and indirect employment via intermediaries or foremen. Construction workers are hired only for the period of a certain construction project. The number of economically dependent construction workers also rapidly increased since the late 1990s. In recent decades, economic performance of Hong Kong has been remarkable and currently its per capita income is amongst the highest in the world. Meanwhile, its income distribution is highly uneven compare to the major advanced economies. As employment income remains the largest constituent of household market income in Hong Kong, it is expected that the development of its earning inequality may have contributed to the high income inequality. Dharavi in the heart of Mumbai is home to an estimated 1 million people and of the biggest slum economies in the world. With 86% of India’s total workforce working in the informal sector, this papers sheds light on the working and living conditions of a section of this invisible workforce as well as their collective struggles and organizing strategies for a more decent life. The empirical findings suggest that despite massive barriers to organising, informal garment workers develop innovative strategies to gain victories both vis-à-vis employers and the state by organising collectively. The entry point are workers’ identities as women and citizens and their struggles around domestic violence, harassment housing and public services. For many workers the trade union membership card gains importance as the first written proof of identity and the support of the collective serves as a protection against violence at home and in the community. A delegation of labour scholars and practitioners first came to our university, the University of the Witwatersrand in South Africa, in 2006, to engage with colleagues about establishing the Global Labour University on our campus. It was to be the second site after Germany, and we were all intrigued by the concept. While some of our colleagues were initially sceptical about the GLU, believing that it might be a northern imposition within the narrow confines of 20th century models that privilege formalised or established labour, corporatist social partnership and narrow workplace bargaining, we were happy to hear that some amongst the delegation had a ‘Marxist’ orientation and were sensitive to relations between the global North and the global South. 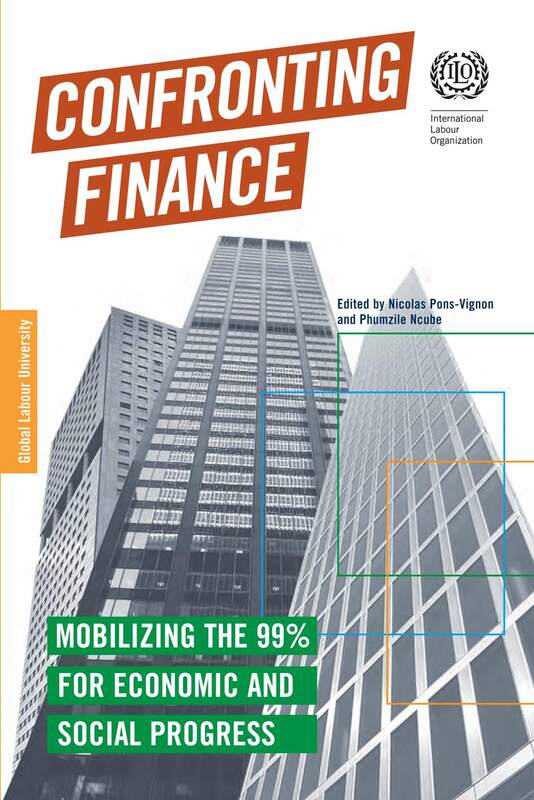 This gave a sense of comfort to those amongst us who believed that the challenges of our time demanded a wider consideration of the totality of globalised capitalism, and its differential impacts on the world, North and South. When Vietnam started the Đổi Mới (renovation) in the mid-1980s it was a backward agricultural country. Liberalising markets, allowing the establishment of private firms, integrating in the world economy and high FDI inflows stimulated growth and productivity development. However, this first face of development seems to be exploited and Vietnam is in danger to fall in a period of low growth, low productivity increases and no convergence with more developed countries. Vietnam is at the lowest end of global value chains in industrial productions and at the same time depends on the export of natural resources. Market mechanisms are reproducing this type of underdevelopment. Trade regulations and global production networks : what is the current impact and what would help to improve working conditions throughout the supply chains? 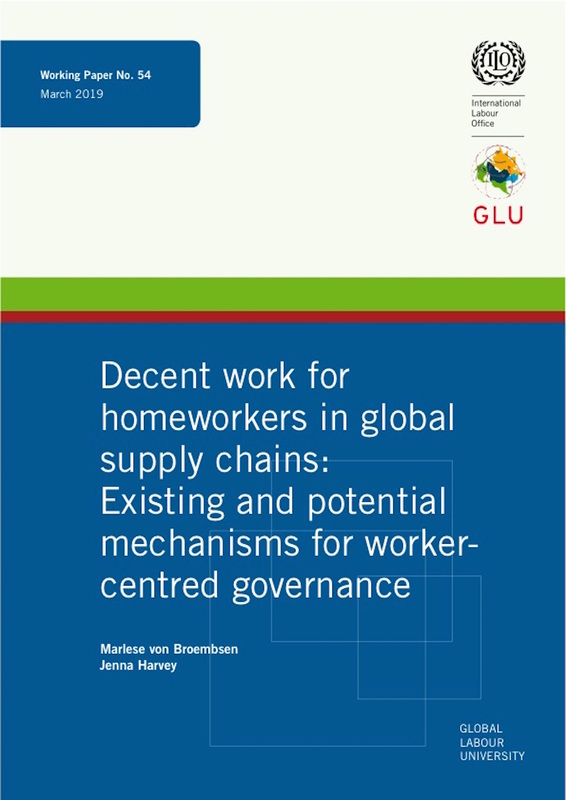 This study provides an overview of some, not all initiatives to improve working conditions throughout global production networks. On the basis of secondary sources it assesses the contribution of the instruments favored by these initiatives. It starts with an economic justification of international workers’ rights. The debate about international workers’ rights revolves primarily around enforcing standards in developing countries. Opponents of internationally enforced workers’ rights see them as an obstacle to closing the industrial gap. They argue that better living and working conditions cannot be legislated but would be the natural outcome of industrialization. This paper aims at contributing to the discussions on the challenge of transitioning from precarious informal employment to more protected employment. This paper looks into a rather under-researched area—the role of trade unions in facilitating this process of ‘transitioning’ as well as in containing the spread of this type of employment. We refer to this process, along with its outcomes, as the 'positive transitioning effect' of trade unions. Through 10 case studies from nine countries (Brazil, India, Israel, Nepal, Nigeria, the Philippines, South Korea, the UK, and Zambia), the paper analyses several factors, such as the legal framework (i.e., labour laws and regulations), economic and social protection measures beyond the labour law, union's organisation structures and processes, and union strategies and measures, that influence the success of various ‘transitioning’ initiatives undertaken either solely by trade unions or in collaboration with other organisations. For many years now, the question of whether the standards of the International Labour Organization (ILO), and the provisions of Convention No. 87 on Freedom of Association and Protection of the Right to Organize (1948) in particular, implied the existence of a right to strike was the subject of a controversy among the tripartite constituents. The debate escalated in 2012, when no agreement was reached at the International Labour Conference of the ILO regarding the adoption and discussion of a list of 25 Member States that stood accused of serious breaches of ILO Conventions. Since then, this issue had continued to hamper the process of supervising the application of ILO Conventions. Labour market developments in Germany can be separated into two major shocks: German reunification in the early 1990s, and the Hartz reforms in the early 2000s. In this paper it is argued that these two shocks divide the German wage bargaining system into the old labour market system, which is characterised by a high degree of coordination through pattern bargaining, and the new dual labour market system, where pattern bargaining exists to some extent but is characterized by a marked increase in precarious work. The consequences of these developments for the alleged “stable” and “decent” German labour market are outlined and policy proposals by the German Confederation of Trade Unions (DGB) to combat unnoticed (or condoned) dualism and its repercussions are discussed. The factory fire at Tazreen Fashions in 2012 and the collapse of the Rana Plaza in 2013 generated a huge outcry about the working conditions and labour relations in the Readymade Garment (RMG) industry in Bangladesh, and led to the adoption of the multi-stakeholder agreements Accord on Fire and Building Safety in Bangladesh (Accord) at the international level and the National Tripartite Plan of Action (NTPA) at the domestic level. This paper investigates how the Accord and the NTPA have been implemented in the first two years after their adoption, whether they have contributed to an overall improvement in safety and labour conditions as well as to organizing in the RMG sector, and whether they can be considered as a “major breakthrough” and “game changer”. This paper highlights the inequality in financial penetration and usage in India, based on macro level data, and shows how certain regions, such as the Northeastern or Eastern of the country need special attention by the policy makers. Credit schemes need to be formalized so that the weaker regions and socially disadvantaged sections, especially in the lower income categories, receive better access to formal credit. Based on the analysis of unit record (household level) data from the National Sample Survey Organisation (NSSO), the gender-wise inequality is also considered persistent, particularly regarding access to credit. Unionists and labour activists often speak about workers’ education, but what does the concept really imply and does it actually play a role for political consciousness? This paper is the synthesis of empirical studies from a Global Labour University (GLU) alumni research group on Workers' Education. Its uniqueness are case studies, where workers' education has been very seldom studied. Just to mention a few of the nine in depth field studies: shop steward training in Malawi, labour rights workshops in Indonesia, party education in a train depot in China, organising workshops in a syndicalist union in Canada. India witnessed high levels of growth in the last decade but national levels of poverty and inequality remain high. Infrastructure provision is seen as a particularly important instrument for helping in regional development where government can play a significant role due to the public goods nature of infrastructure facilities. Literature confirms the positive association between infrastructure and growth. However, it is not necessary that economic growth attributable to infrastructure development will consequently lead to a reduction in inequality. This paper analyses the links between physical infrastructure and inequality and determines the nature of this relation and focuses on 17 major Indian states. The aim of this paper is analyzing the evolution of the Brazilian credit market from 2003 to 2011 and its impact on inequality in Brazil. The arguments are organized as follows. 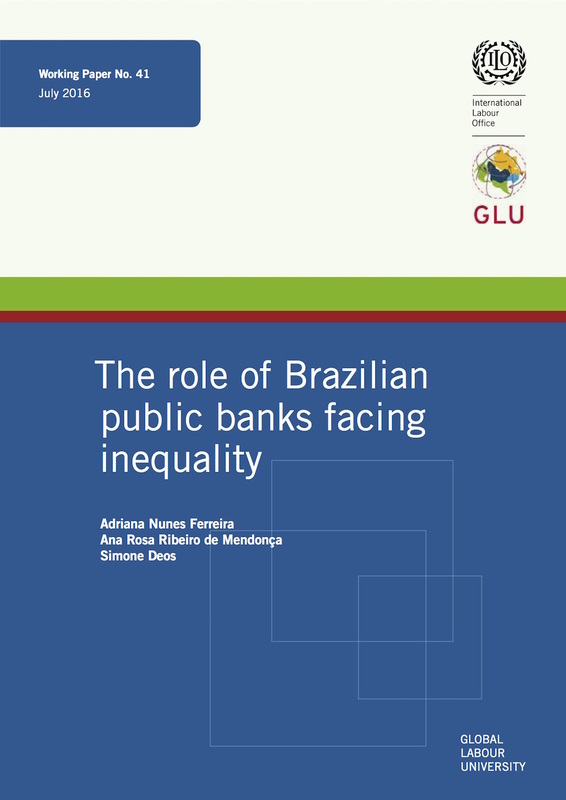 After an introductory section, the second one presents the determinants and the general trends of the banking credit market between December 2003 and December 2011, while the third section analyses the extent to which employment and incomes in the banking sector might have contributed to reduce the inequality in Brazil. The paper closes with some final remarks on the lessons that can be drawn from the Brazilian experience. This paper discusses the Brazilian rural development model in the context of Green Economy and the debate about sustainable development, issues that have been discussed in international sphere. In this way, conceptions and new concepts have been defined which clarify the ideas and mechanisms involved in this new approach. In general terms, these conceptions and concepts have proposed the organization of another social order that looks beyond purely economic aspects. This research study will examine how labor manages productivity advances and crisis response in both the United States and Germany’s automobile manufacturing sector, particularly in the context of technological application, workplace organization, and the political economies of both countries. In the US, labor is increasingly challenged through reductions in the workforce and lower wages while in Germany, labor has remained resilient even during the global economic crisis of 2008. This paper utilizes in-depth interviews with key actors in the automotive industry, field research at automotive plants, and an examination of relevant literature and data. Among the areas examined are automation, workforce training regimes, institutional factors, and outsourcing. This paper analyses the development strategies followed by the governments of Argentina and Brazil since the election of left-oriented parties (2002 in Brazil and 2003 in Argentina), and focuses on the role the trade union movement has had on their policies and how it challenged their growth strategies. The main argument is that both of these countries underwent significant socio-economic improvements since these governments were elected, but this development has mainly been based on their extractive industries, such as mining, forestry, transgenic agribusiness-based agriculture and oil. These activities have produced immense wealth, which these governments very effectively distributed focusing on the poorest sectors. This paper presents the major characteristics of the Brazilian tax system, after underlining the modifications it went through since 1988, when the country adopted a new and democratic Constitution. One important feature is the marked incidence of indirect consumer and production taxes (49% of all tax revenues) in place of direct taxes on income, inheritance, and capital gains. This imbalance between indirect and direct taxes explains, in large part, the elevated regressivity of the Brazilian tax system, which both expresses and reproduces the profound inequalities that characterize Brazilian society. 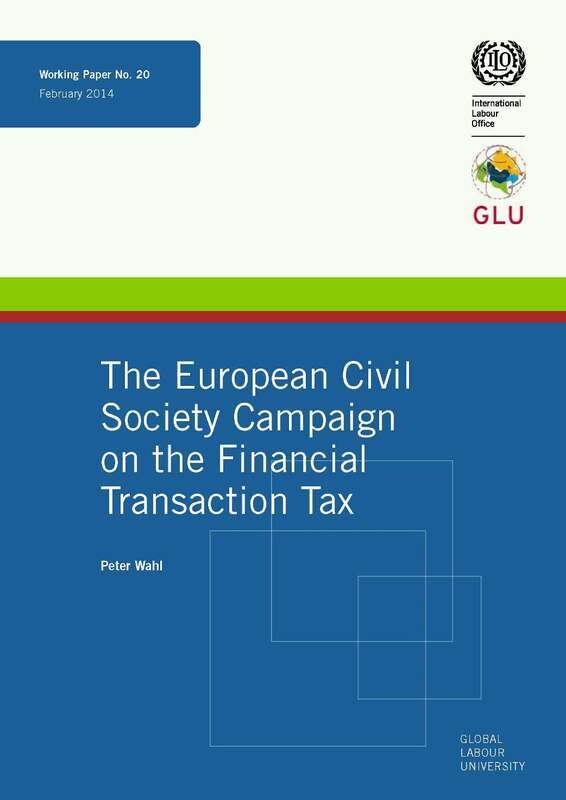 The Financial Transaction Tax (FTT) has been a spearhead demand of civil society for some 15 years now. Initially put on the table by the UNDP in 1996 as an instrument of innovative financing for development, also its regulatory dimension surfaced after the Asian financial crisis 1997/98. While some governments were open to the idea, in particular France and Belgium, there was strong opposition from other countries such as the US and the UK and of the finance industry. Therefore, the FTT seemed to be doomed to disappear from the agenda. No. 5 | November 2008: FIFA World Cup 2006 Germany: An opportunity for union revitalisation?